One of The Fine & Country Foundation’s biggest projects this year has been the huge task of rebuilding almost an entire village. 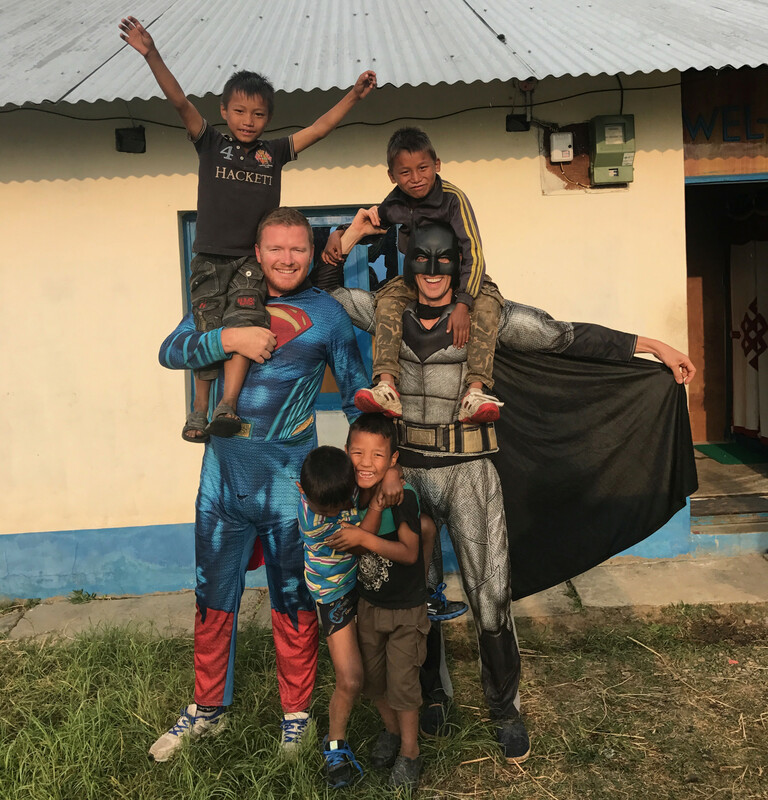 From 12th-26th October 2017, the Fine & Country team trekked to Everest Base Camp to raise money for Thangpalkot1. This village, along with vast amounts of Nepal, was flattened by the devastating earthquake in 2015. The Everest Base Camp trek exceeded all expectations and raised an incredible £32,000 for the village to fund a further 20 houses. Read the full story about the disaster and our progress here. 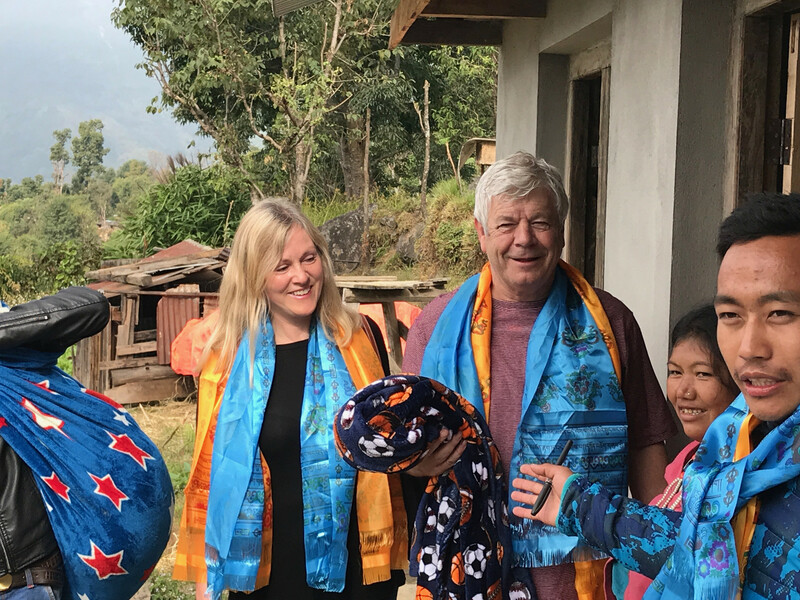 After two days of rest in Kathmandu, the Everest Base Camp team were joined by family and friends, including Malcolm Lindley, Founder and Trustee of The Fine & Country Foundation, to travel to the village. For the full story about the Everest Base Camp trek, please click here. Thankfully, the trekkers had recovered from Acute Mountain Sickness in time for their journey to Thangpalkot1. The group travelled in two jeeps for more than six hours, along dirt tracks and tricky terrain to reach the village. The skilled drivers frequently had to get out the vehicles to work out how to navigate the road. 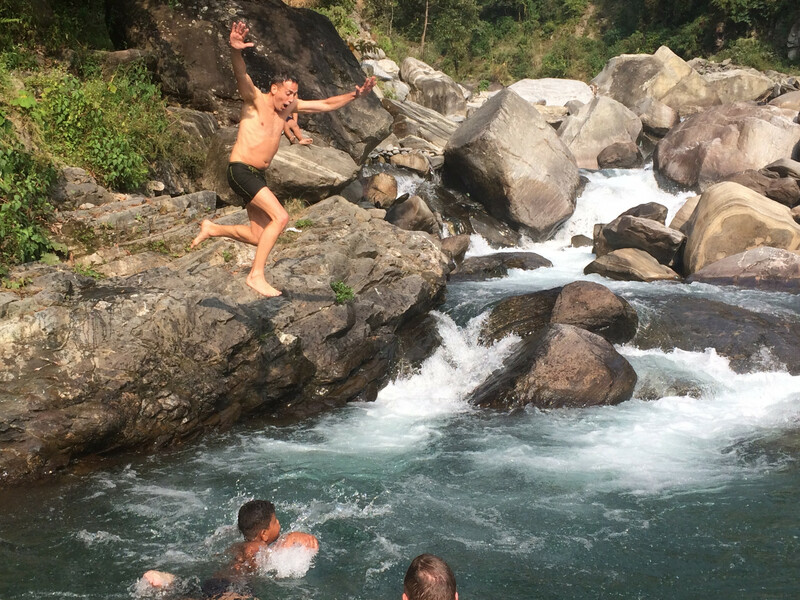 As a treat, they visited a waterfall along the way and went for a quick swim. When the group arrived in the village, they were greeted with traditional scarves and made their way to Renzen’s grandma’s house. Renzen is the village coordinator who manages the project and keeps us updated on Facebook. 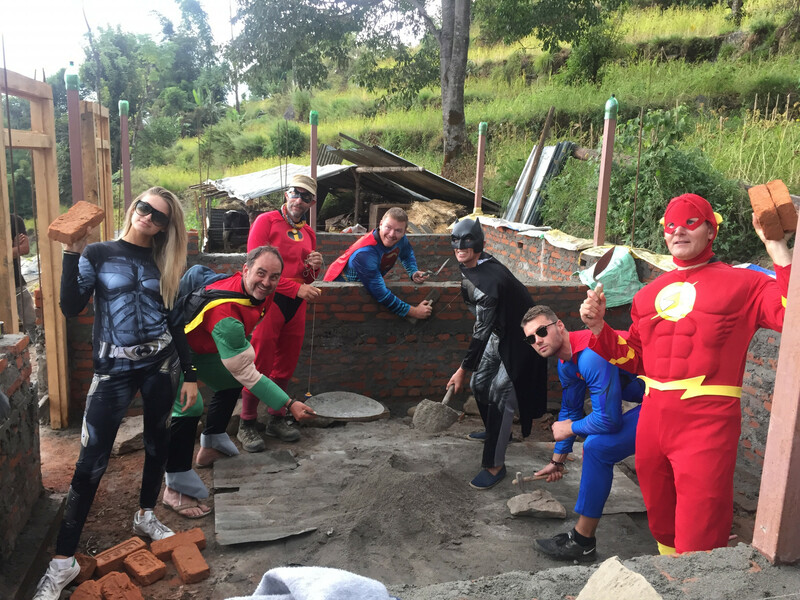 Whilst at the village, the group ate traditional meals and helped to build the houses. The group had brought seven suitcases to the village, weighing a total of 120 kilograms. Items included: books, toothpaste, medical creams, blankets and balloons. 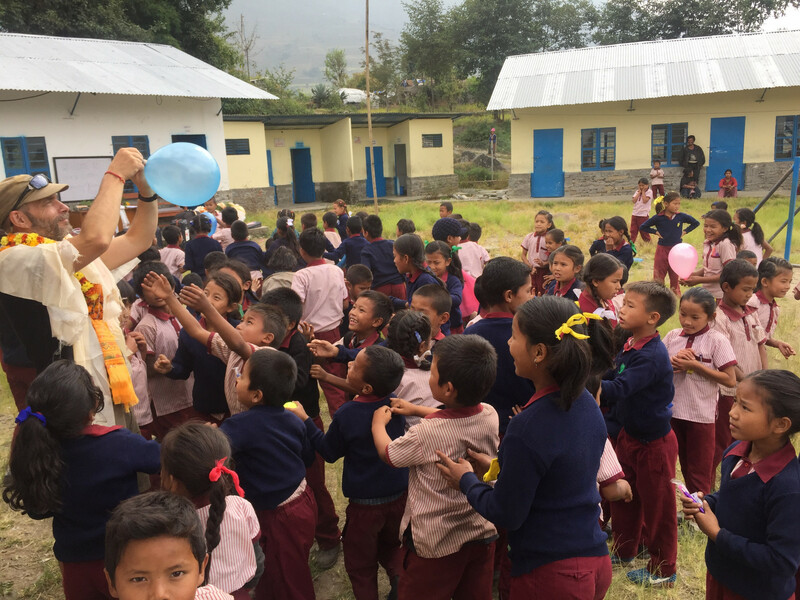 It has been over a month since the Fine & Country group visited the village and we are told the children are still playing with their balloons. In early 2017, Fine & Country donated £16,000 to build 10 houses in the village. 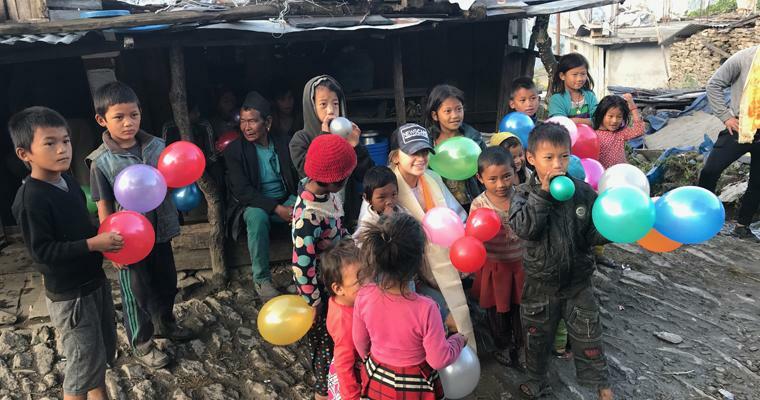 Over their next few days in the village, the team met with the families who are now living in their newly built houses and presented them all with blankets, a tradition for every family who receives a new home. Whilst at the village, the materials for five houses, funded by the Everest Base Camp trek, were delivered. The group helped with the new building projects after meeting the families who have newly built houses. Clint Nykamp, Fine & Country Solihull said: “The kids were the most amazing part of the village. They were all so happy and playful. It was lovely to help to nice people who are so happy despite the tragedies that they have been through. 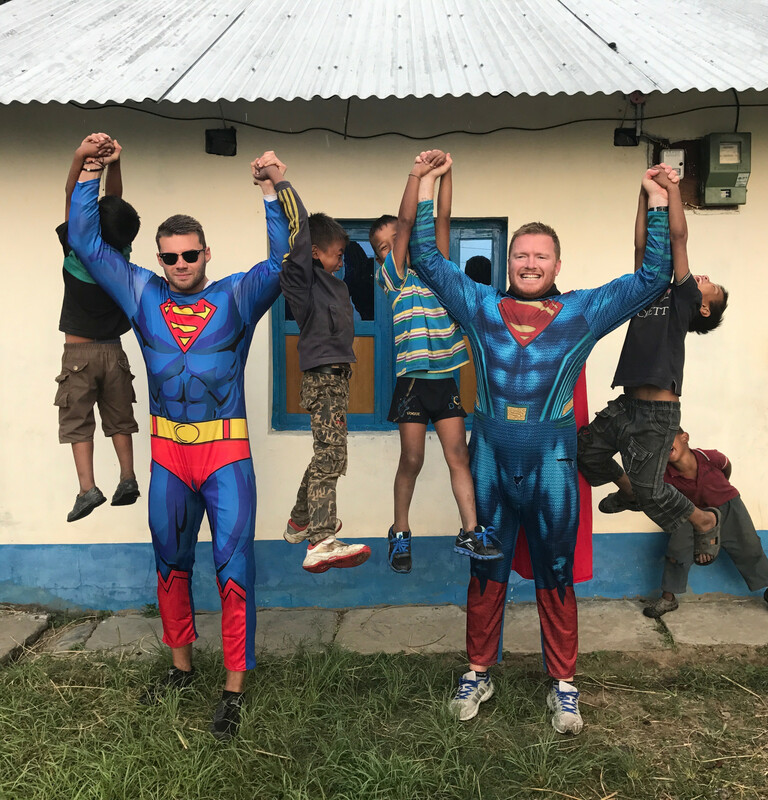 “We are already planning a trek in spring 2018 from Kathmandu to the village, which will be much gentler than Everest Base Camp! I can’t wait to go back and help out in the village again. Thank you to everyone who supported us throughout our trek and for helping us to rebuild this incredible village,” continued Clint. Thank you to everyone who has supported our project in Nepal. We will continue to keep you updated with the latest developments on our Facebook and Twitter pages. Do you want a challenge? Sponsor a family today by raising £1,600 to build a house. You will be given a family to support and be sent videos and photos to learn about their story. Or, help us get closer to funding another house in Nepal by donating here. 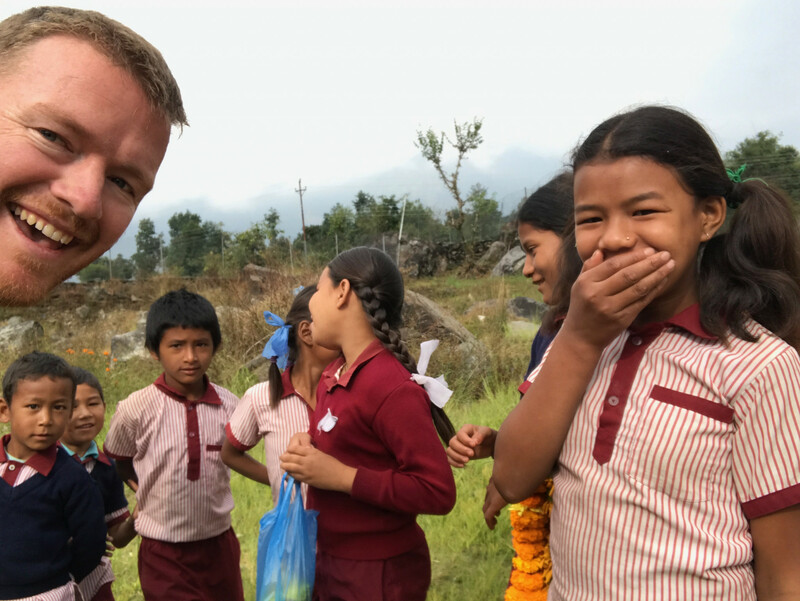 For more information about our work in the UK and internationally, or to join us in Nepal in 2018, please contact foundation@fineandcountry.com or call +44(0)20 3368 8221.